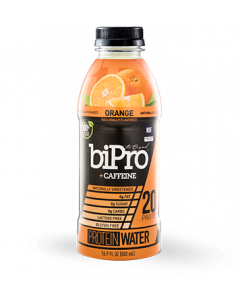 BiPro BOLD is our perfect anytime digestion formula. 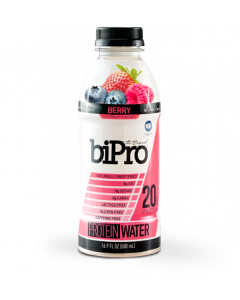 Made from 70% Whey Protein Isolate and 30% Milk Protein Isolate, BiPro BOLD provides long lasting satiety (which means you feel full longer) and ideal protein absorption — morning, noon or night! 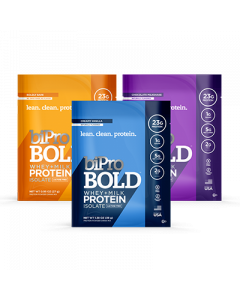 BiPro BOLD not only provides 23g of clean label protein per serving, but we stepped up the formula to include prebiotic fiber to promote healthy gut and non GMO coconut oil powder for a healthy dose of MCTs. 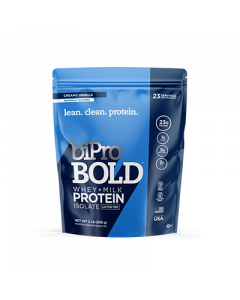 BiPro BOLD is an effortless way to increase your protein intake, without sacrificing quality or flavor.